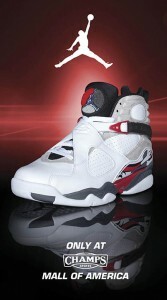 Tomorrow, for Champs 10 days of restocks, they bring the Retro 8 “Bugs Bunny”. This restock is at their Mall Of America store only. No phone orders. At this rate we can expect the Grape 5 to make an appearance.